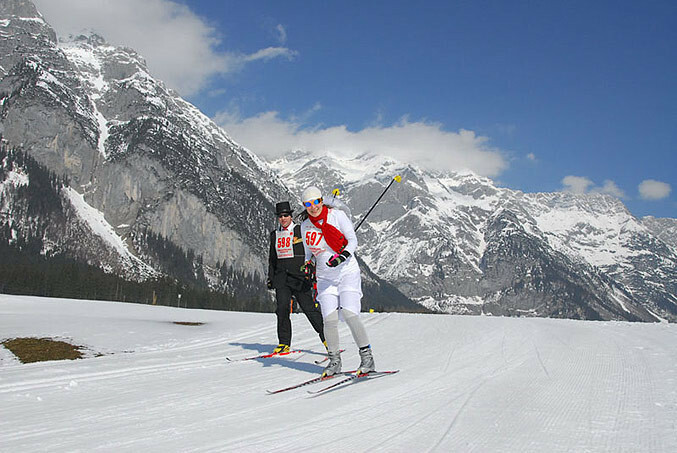 The skiing area Leutasch is located in the Olympia-region Seefeld. Whoever is on skiing vacation in Seefeld-Leutasch, will get very well prepared slopes in all difficulties. Here you'll find comfortable runs for the whole family as well as for beginners, varied slopes for experts, and an amazing new funpark for snowboarders. A great time and a lot of fun in ski huts is guaranteed! Get Snow Reports, Powder Alerts & Powder Forecasts from Skigebiet Hochmoos - Bergbahn Leutasch straight to your inbox! Resorts across the Austrian Tyrol kick-start the winter season with live music, ski races, competitions, and apres ski parties.